Little ones can be so hard to buy for! 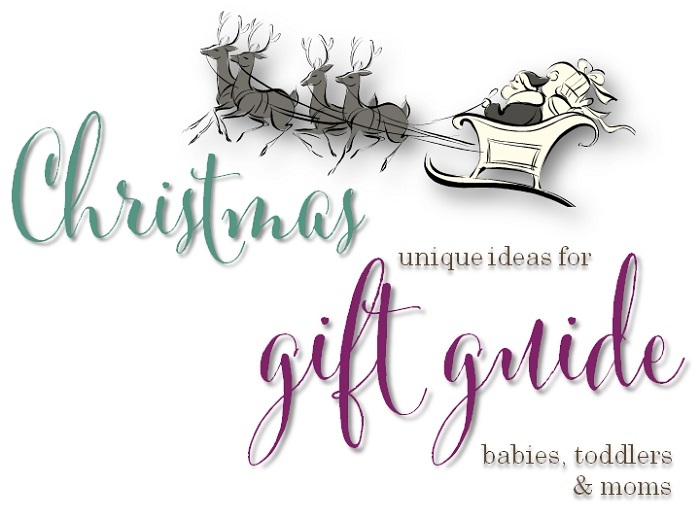 In our gift guide, you're sure to find ideas for a Christmas gift for a special baby, toddler, or mom in your life! Our gift guide is a little different. Rather than asking companies to submit products to be featured in our gift guide, we decided to create a guide simply based on products we love! 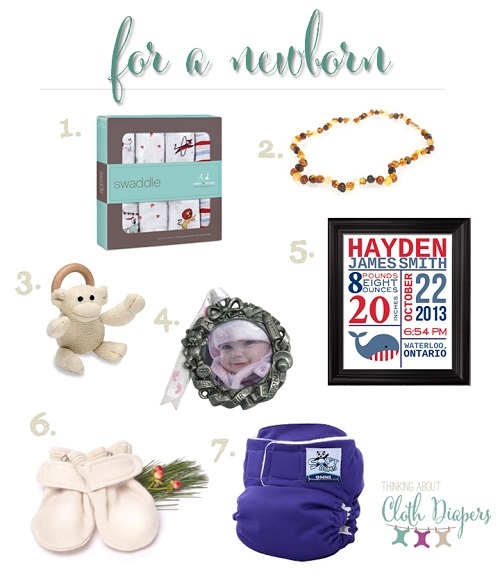 In the Thinking About Cloth Diapers Christmas Gift Guide we will introduce you to products that have earned a place in our home and our hearts - and a few new ones we're planning to bring into our own life this holiday season. 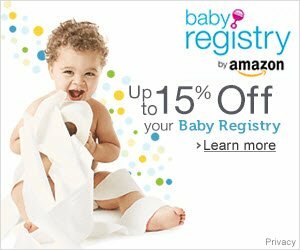 Please note - companies highlighted with a * offer special money-saving coupons in "Ditch the Disposables - The Big Book of Cloth Diaper Savings". If you would like to save money on these products, be sure to check out our coupon book here. Newborns can be notoriously hard to buy for - and even more so if they aren't the first baby in the family! Most babies have more than enough clothes and blankets, and probably express more interest in your cordless phones and magazines (for shredding, of course!) than any toy you could put in front of them. But if giving them an empty cardboard box isn't a real option for you, here are a few ideas for a Christmas gift for baby! Baby's First Christmas Ornament - I love buying special tree decorations for our children each year. I would suggest doing a Google search for Baby's First Christmas Ornament to find one that strikes your fancy. Custom Birth Stats Nursery Decor - there are lots of custom art options for nursery decor these days. We like this custom birth stats print from Rainbows & Lollipops Art on Etsy. 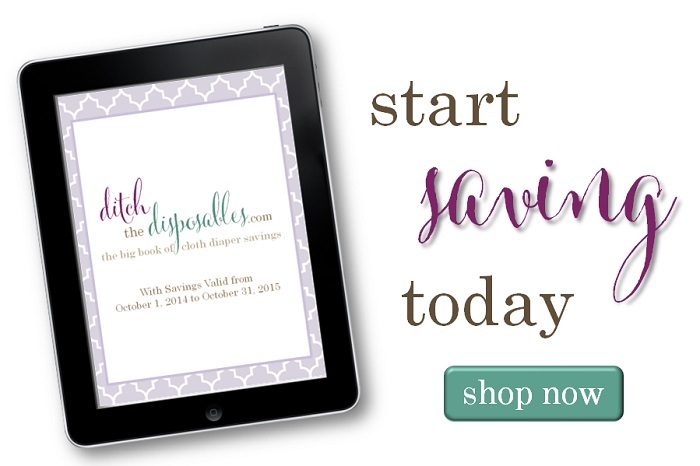 Be sure to check out tons of adorable options in her shop! From $12 US. Oko Creations Merino Wool Baby Mittens fit from birth until 9 months, and are breathable. These mittens stay on and will keep your favorite little baby's hands warm but not sweaty! Hand-made in Canada from certified organic wool. $25 from Oko Creations. Cloth Diapers - Babies don't need much, but diapers are on the list of necessities, and if you are just starting out with cloth diapers, asking family to help you build your stash will be a gift that lasts long after the holidays are over! (Psst - if you aren't already using cloth diapers, read more about why you should consider them here). Shown is one of our favorites, the SoftBums Omni shell, which retails for $21.95 from Nicki's Diapers. Don't forget to add a bamboo or microterry insert for a full diaper change. Your baby can smile at you, roll over, and maybe even sit up - and a whole new world is opening up for both of you! You'll be sharing more time together for meals, outings, and activities, and we've got some great gift ideas to inspire you. Wool Longies - I never ventured into wool products until my second was born, and when I did, I fell in love quickly. They are NOT itchy, and are excellent for sensitive skin and for keeping babies warm and dry. Longies can serve as a diaper cover and pants all in one, perfect as pyjama bottoms over a night-time fitted. If you're not convinced, here's an article on the many reasons to love wool. Shown from Bumby* ($52 & up), or check Etsy for a variety of other brands. Project Pomona Cargos - These pants are hand-made in the USA and fit equally well over disposables or cloth diapers. They are also so much easier to get on and off your squirmy toddler - and fit much longer thanks to the cuff styling! You can read our full review of these pants here. $29.95 from Amazon.com or shop Project Pomona for more fabric and style choices. ezpz Less Mess Happy Mat - promising to make meal times more about fun and less about mess, these dishwasher and microwave safe 100% silicone placemats with a built-in plate will be hitting shelves in late November 2014. This is one gift that's going to be under our tree for sure. $24.95 from ezpz. Entering parenthood brings big changes. 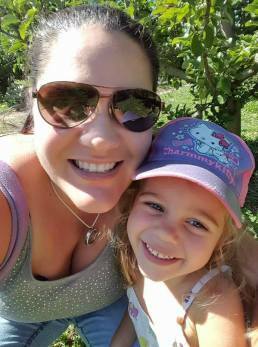 Below are some ideas new and soon-to-be moms are sure to enjoy! Maxwell Designs Stow it All Clutch - this bag is bound to be a favorite. It doesn't look like a diaper bag, but it's big enough to disguise a few diapers and wipes for quick trips around town, or you can use it to carry cosmetics or other items while traveling. Made in Canada, machine washable, and available in lots of designer prints, $34 CAD from Maxwell Designs. Gift Cards - when in doubt, let mom choose. She might enjoy a gift card for a clothing retailer, music, or Amazon. Gift cards don't have to cost you anything either if you think outside of the box - you might be able to offer her a free service, such as a couple hours of babysitting so she can enjoy a bit of time to herself! Looking for a little extra something? 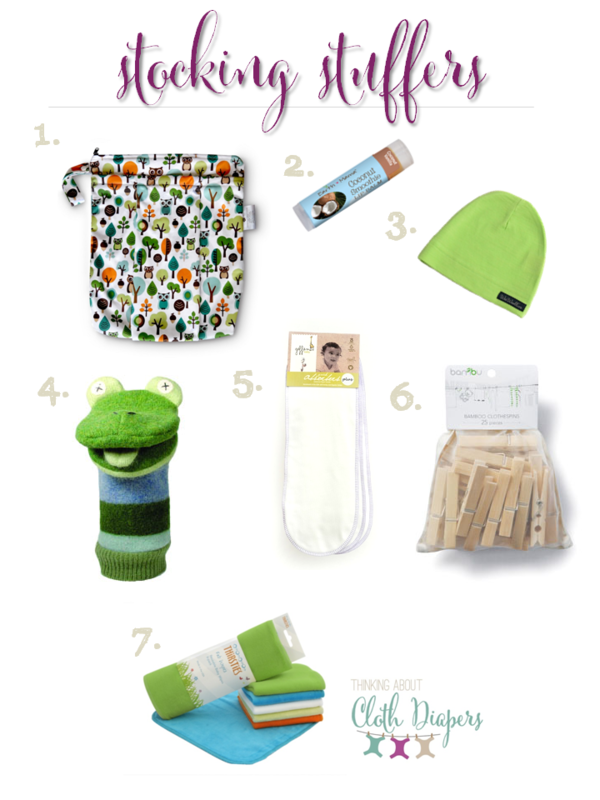 Our list of stocking stuffers offers affordable ideas for just about anyone on your list. A Christmas cloth diaper can be cute for baby's first Christmas photos, or as a gift too! 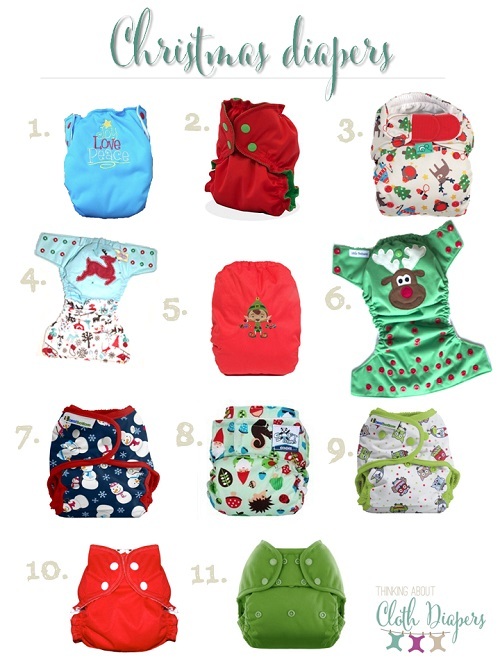 In our latest article, we've rounded up 11 Christmas-themed cloth diapers! 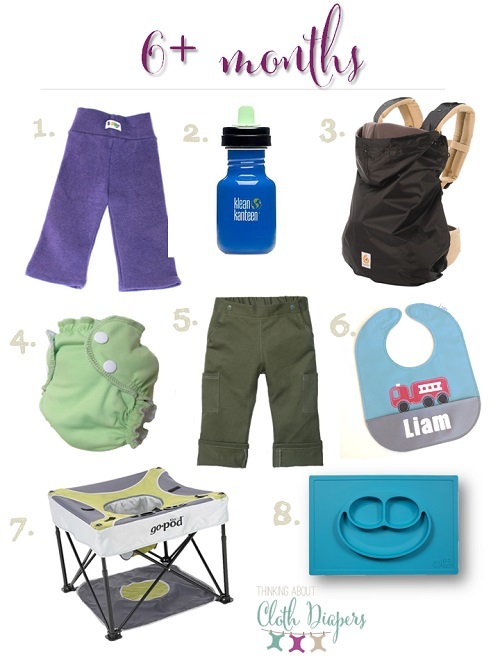 We hope you've enjoyed this list of products and gift ideas. Please consider sharing this or pinning it for future reference! And - if you have another great idea, we'd love if you would share it with us in the comments below - I could definitely use a few suggestions as well! Wishing you hope, joy, and love this holiday season! Go back to Fun with Cloth Diapers.